The Brera from Gaggia is one of their higher-end models for beginners, designed to deliver classic Italian espresso with automated convenience. Compact, futuristic, and simple to operate, the Brera has been designed with the rookie brewer in mind. You can fine-tune the most important settings of this machine, but it doesn’t have a bewildering amount of options. It’s a great upper level starter machine to get your feet wet in case the more expensive machines feel a little intimidating with long lists of features like pulse extraction technology and PID controllers. 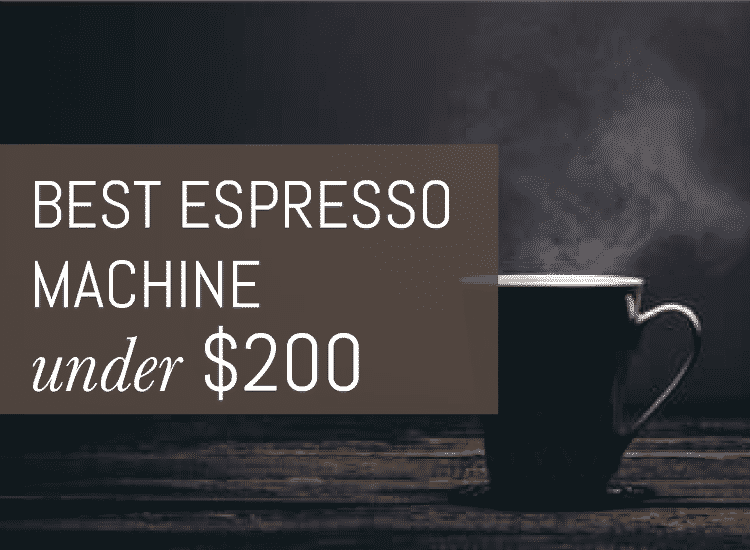 Best Suited For: I would recommend this machine for coffee lovers who are looking for an automatic machine to level up their espresso game still staying within a $500 budget. 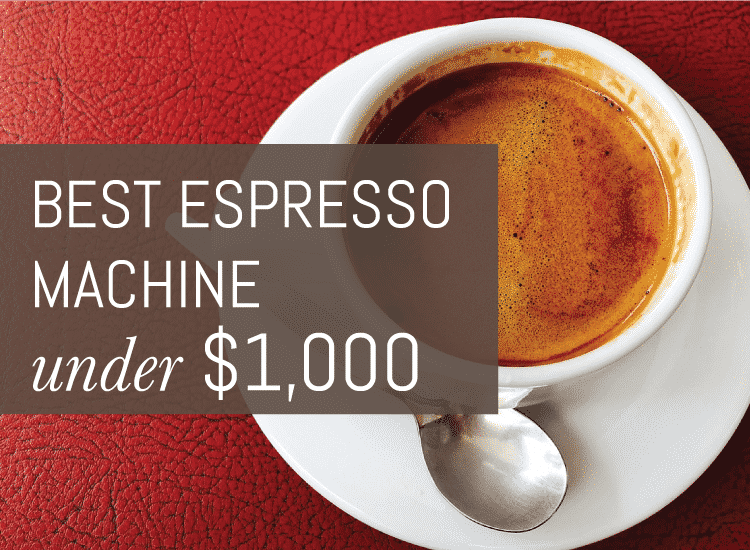 The Brera is your ticket into the quality brewed espresso with a reasonable price tag. Don’t be fooled by its simplicity, though, since I found it to more than match my expectations for a machine in its price category. And because it’s made by Gaggia, it has a name reputable throughout the world for quality Italian craftsmanship. Let’s dig into the nitty-gritty of this beauty to better understand what’s on offer. Equipped for energy saving with a 60 minute automatic standby that signals the machine to turn off when not in use. A heated cup-warming surface for easy and accessible mug storage. 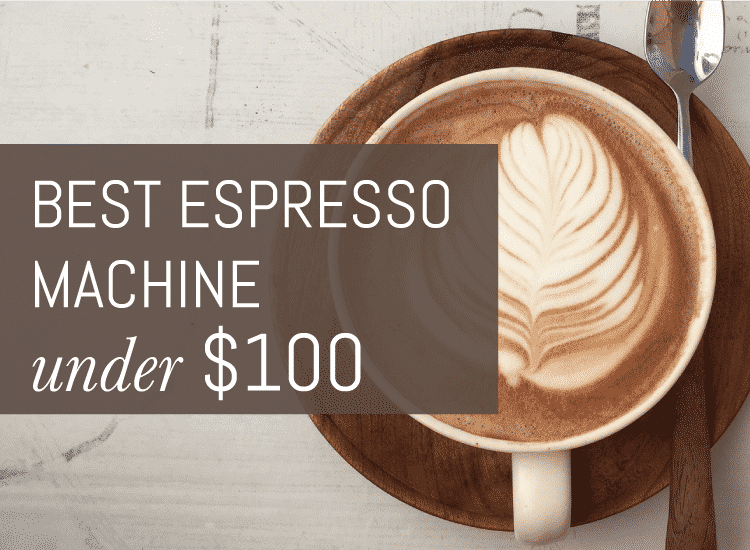 The dispensing spout slides up and down the machine a few inches, so users can accommodate both a tall mug and a small demitasse cup for espresso shots or ristretto, reduces splashing. When the two cup brewing option is selected, the machine automatically runs through two separate brewing processes, one after another. Pull two shots of espresso for two people (or just for yourself) with one touch of a single button. Both cups will be the same tasty shots. The bypass doser is a handy feature if the hopper is filled to the brim with one kind of bean, so users can enjoy interim shots of a different kind of ground coffee. This eliminates the need to evacuate and refill the hopper in between brews. The Brera is made of mostly plastic components which can give it a ‘cheap’ feel and feel less durable than the stainless steel components on some of their upgraded models. While the entire machine isn’t plastic, is has a higher plastic to metal ratio. The Brera is a higher-end model from the Gaggia line, designed to offer users a little more convenience with a little less skill and espresso knowledge required. Superautomatic machines like the Gaggia Brera are essentially countertop baristas. After you fill the bean hopper and water reservoir, you can press a button and the machine will grind, tamp, and brew the beans. 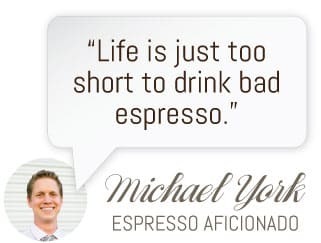 The settings can be tweaked to your preferences, but a basic shot of espresso or long coffee can be as simple as a one-step process. The Brera will require you to hand-steam your milk with the pannarello frothing wand. Some machines can froth the milk for you and add it to the espresso, but the Brera gives you the option of frothing the milk yourself. This way, you have a greater degree of control over the foam thickness and how hot you want the milk. The Brera has the upgraded feature of a pre-infusion soak of the ground “puck” of beans. After tamping, the puck is densely packed into the internal portafilter. With a fine grind, some machines have trouble evenly saturating the coffee. Pre-infusing the puck takes care of this common problem. A pre-infusion of the grounds means that the machine will slowly build the pressure of the water that flows through the puck. This allows even absorption and reduces the chances of dry clumps of grounds or channeling. The Brera boasts a perfect application of the pre-infusion feature. The Brera also boasts an adjustable grinder knob at the top of the hopper that holds the fresh beans. However, you don’t have to tweak it by hand unless you want to. Gaggia claims that as the machine gets to know your preferred beans, it will “learn” the optimal grind and adjust itself to deliver the perfect cup. Smart features like this are what sets the best brands apart. Any high-end automatic espresso maker will include a water filter that removes impurities from tap water to reduce mineral scaling of the internal parts. The Gaggia Brera has invested in a Mavea water filter that offers four stages of filtration to make sure the water that runs through the machine and lands in your cup is the purest possible. The Mavea water filter is a small capsule inside of the water tank that requires regular changing with new filters you can purchase either in stores or online. It’s also worth noting that the water tank size is only 40 ounces, which will get you about 6 cups of espresso. This is a little smaller than most machines this size, but still a decent size for a household of one or two. Like all super-automatic and semi-automatic espresso makers, the Gaggia Brera requires you to adhere to a schedule of cleaning and descaling. This sounds intimidating, but it’s not that difficult and shouldn’t turn you away from buying a super-automatic machine. Considering the machine notifies you when cleaning tasks need to be completed, the whole process is easy and streamlined. I found the user manual to give adequate and easy-to-follow directions for these tasks. Once you get the hang of it, it will quickly become routine. Just make sure to use the Gaggia brand descaling solution that has been calibrated for Gaggia machines. The Brera holds a solid four-star rating over on Amazon. Considering the inconsistent ratings of many automatic espresso machines, a four-star rating puts the Brera solidly in the top tier for its range. Mavea Water FIlter uses four stage filtration to reduce buildup. Energy Saving Standby activates after one hour of non-use. Cleaning Notifications to let you know when to service your machine. LED Display lights up as you select your brew options. Pannello Style Frothing Wand helps novice users get full-bodied milk foam. Built-In Grinder and Hopper to keep your whole beans fresh and ready to use. Item Dimensions 15.5 x 10 x 11.5 inches.